Uttarakhand NEET State Merit List 2018: HNB Uttarakhand Medical Education University, Dehradun is conducting the NEET UG – 2018 Uttarakhand State Centralized Counselling to fill the 85% state quota seats of MBBS & BDS courses. All candidates who had appeared and qualified in NEET UG 2018 can take part in UK State quota counselling. University will announce the state quota counselling schedule on their official website. Candidates who have domicile of Uttarakhand can fill the online registration form. The online registration form is available and it will be available for all those candidates who have qualified in NEET 2018. Only registered candidate will be allowed to participate in the various round of counselling. So it is important to fill the online registration form to appear in counselling. There will no further round of registration. Quick Update 30/06/2018: Uttarakhand NEET State Merit List has announced on today on the official website of Hemwanti Nandan Bahuguna Uttarakhand Medical Education University Dehradun. All candidates can check it from below link. 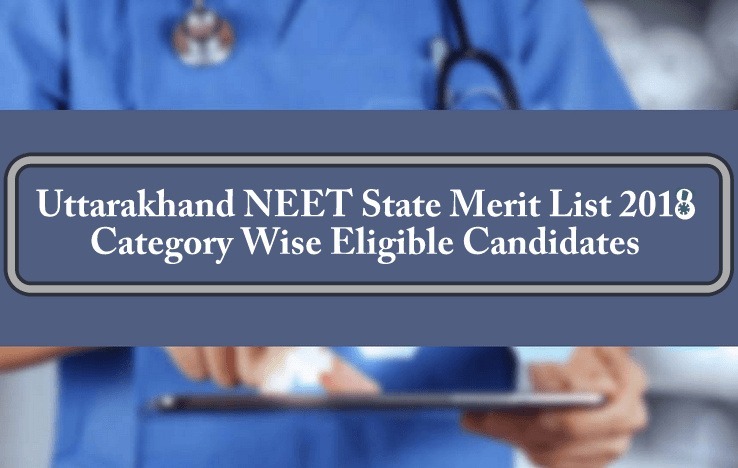 Here in this article, we are providing information about “Uttarakhand NEET State Merit List 2018”. 2.1 Note: All these dates are expected and based on the previous year’s counselling schedule. Candidates are advised to keep checking this page for the final counselling schedule. We will publish it here as soon as it will be announced by the HNB University. After filling the online registration form and paying the registration fee, candidates will be allowed to fill their choice for 1st round counselling from 16th to 21st June. University will publish the state merit list just after the completion of online registration in a pdf file on their official website. According to the counselling schedule, the state quota merit list will be announced on 20th June 2018 after 5:00 PM (expected) on the official website of HNB University. Eligible candidates will be able to check their name in the state merit list. We will upload the merit list here as soon as the university will publish it. Note: All these dates are expected and based on the previous year’s counselling schedule. Candidates are advised to keep checking this page for the final counselling schedule. We will publish it here as soon as it will be announced by the HNB University. How can a person doing 10th and 12th from uttrakhand become equal to the general domicile of uttrakhand even if they don’t have domicile. Then what is the need of having a domicile .and if it so then why aren’t we allowed to give the councelling of other states until we have its domicile for 85% quota seats .